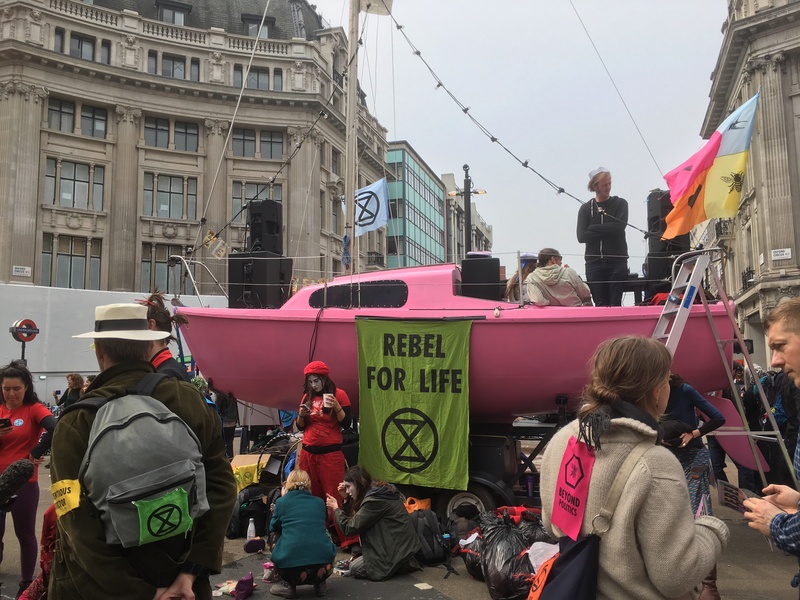 A pink boat in the middle of Oxford Circus sits among a sea of green placards bearing a simple, striking black sharpened hour glass device. 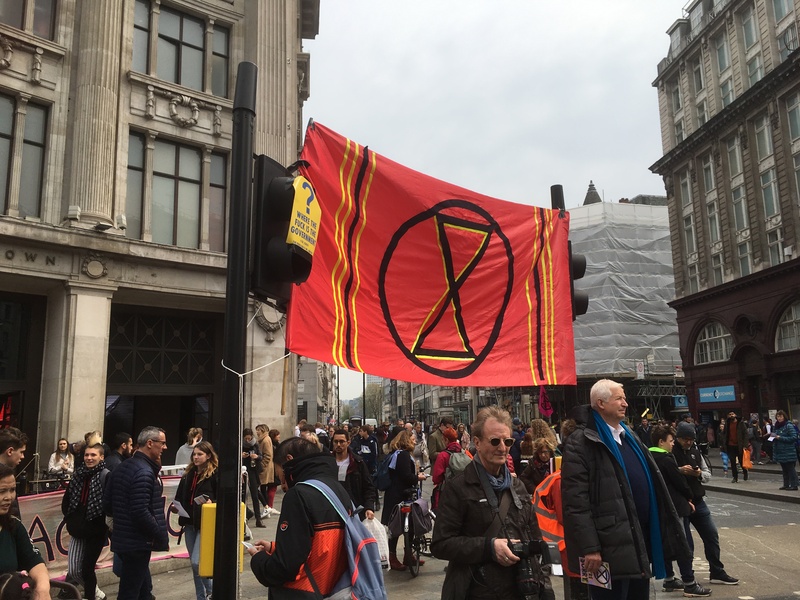 The design is the marker of the current UK Rebellion protests orchestrated by non-violent climate change action group Extinction Rebellion which is looking to “shut down London” with actions across Parliament Square, Marble Arch, Waterloo Bridge, Piccadilly Circus, and the little boat’s current dock is in the heart of the capital’s shopping street; which is currently playing host to not just a bunch of protestors, but a small guerrilla design studio. 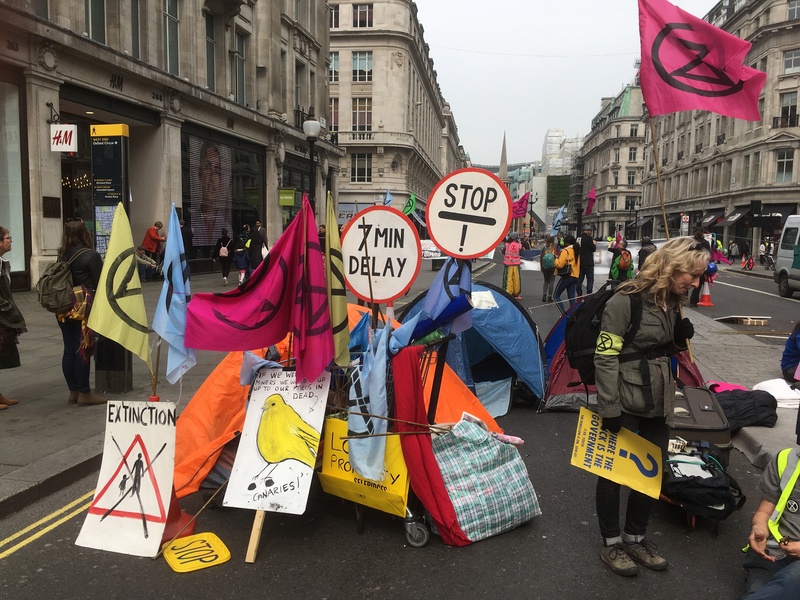 It’s all very peaceful down there when we catch up with Clive Russell, a graphic designer by trade who’s working at the helm of the movement’s Extinction Rebellion Art Group. 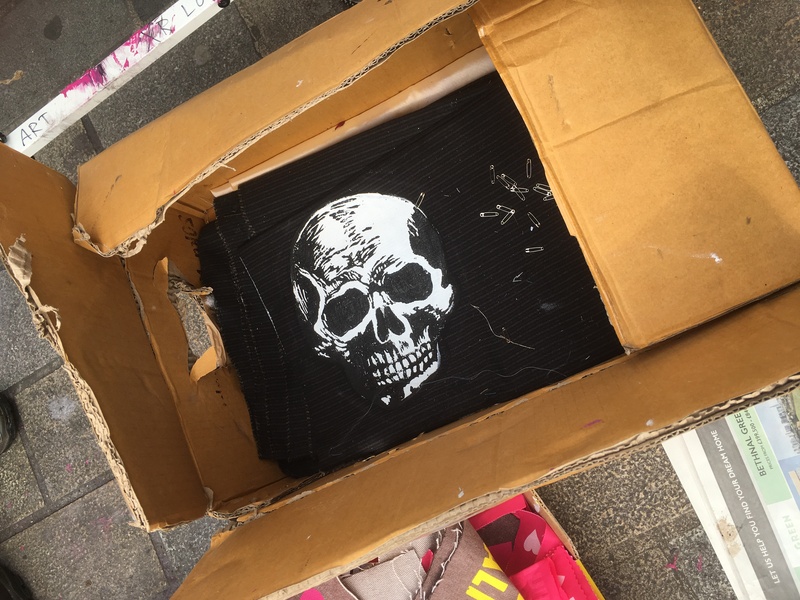 Russell is design director of the London-based studio This Ain’t Rock’n’Roll, which has previously worked on projects including designing the Brixton Pound, a pay-what-you-can currency that looked to encourage people in the south London area to spend their cash within the community, at local businesses. 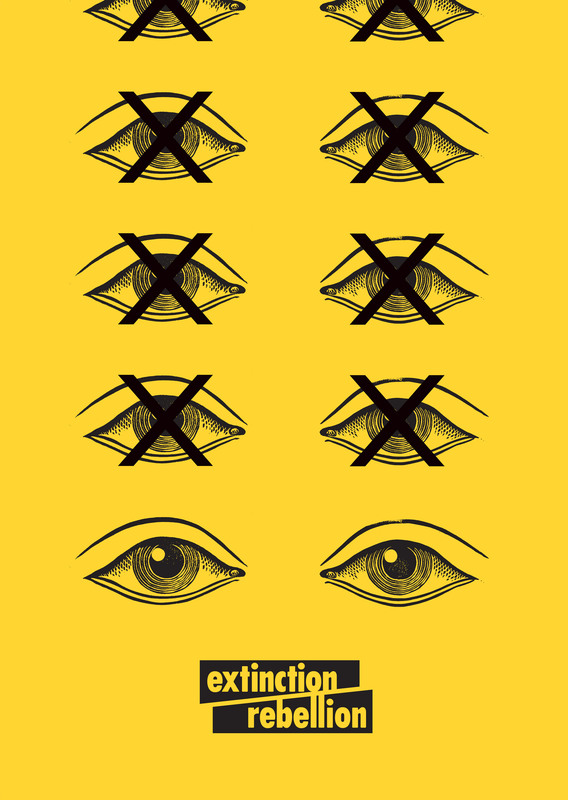 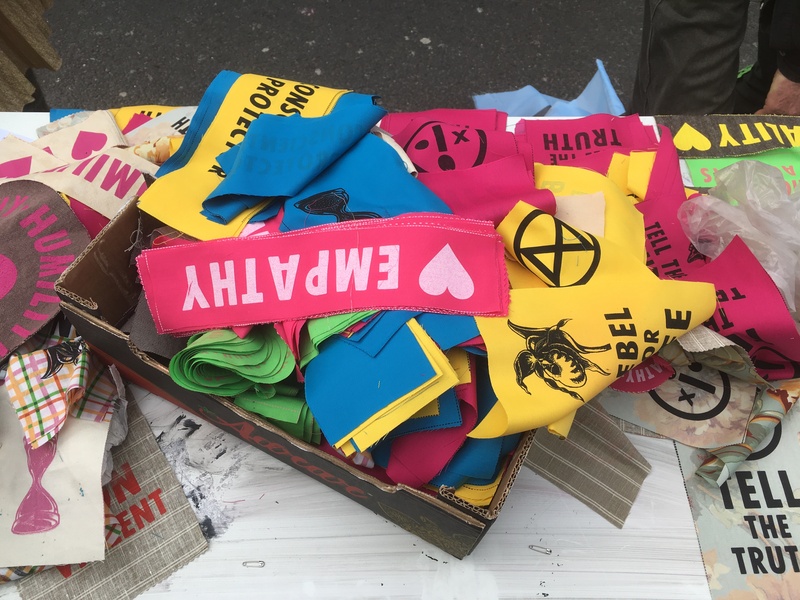 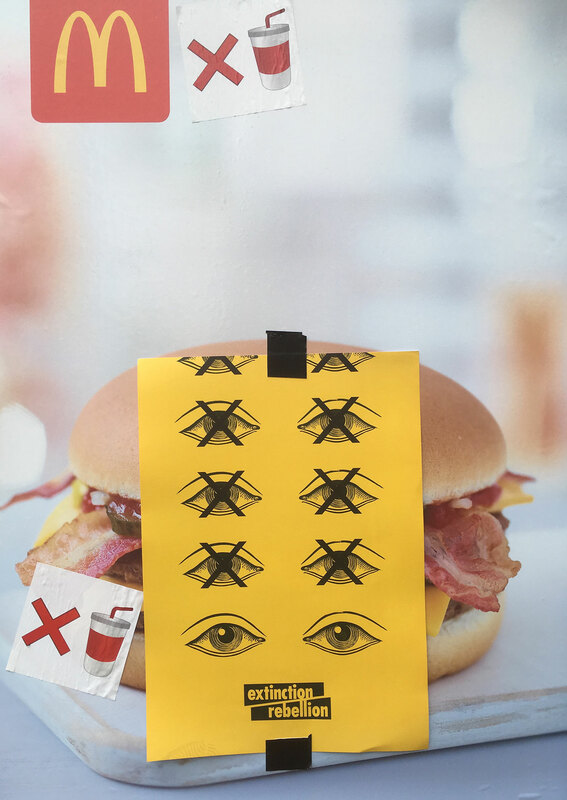 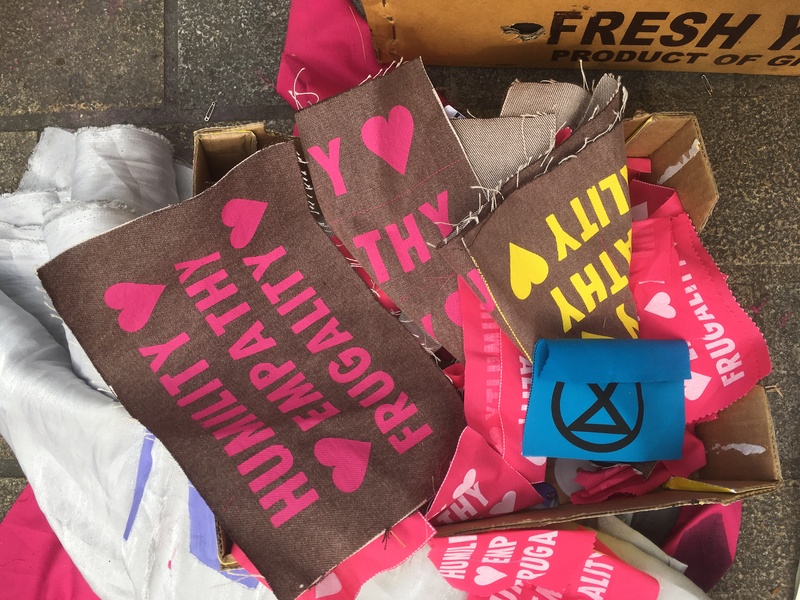 Russell is behind much of the graphics output for the Extinction Rebellion protests, and explains that the font used across posters, banners and other materials was based on a woodcut type he found on eBay.